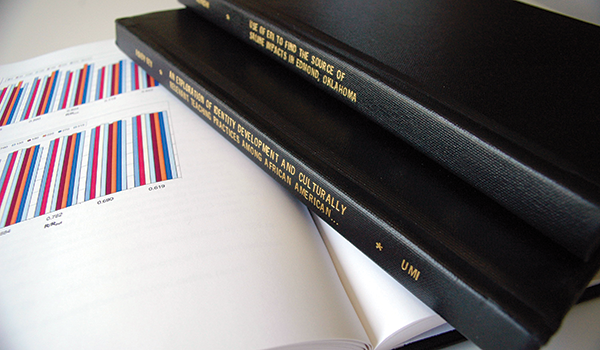 There are several important steps to successfully completing your thesis or dissertation. Expert Advice provides various tips on the process from experienced professionals such as faculty members, administrators, and authors. You can help your advisor be the best advisor for you; someone who will allow you to complete your dissertation and flourish as a professional. The process of having your dissertation reviewed and approved. Breaking down the components of solid dissertation defense; the preparation, the defense, and the follow-up. Examine two key strategies for writing a dissertation or thesis more effectively: fast writing and slow revising. Learn techniques and strategies to help you select a dissertation committee. Sonja Foss and William Waters, authors of "Destination Dissertation: A Traveler's Guide to a Done Dissertation," share best practices for selecting a thesis topic.